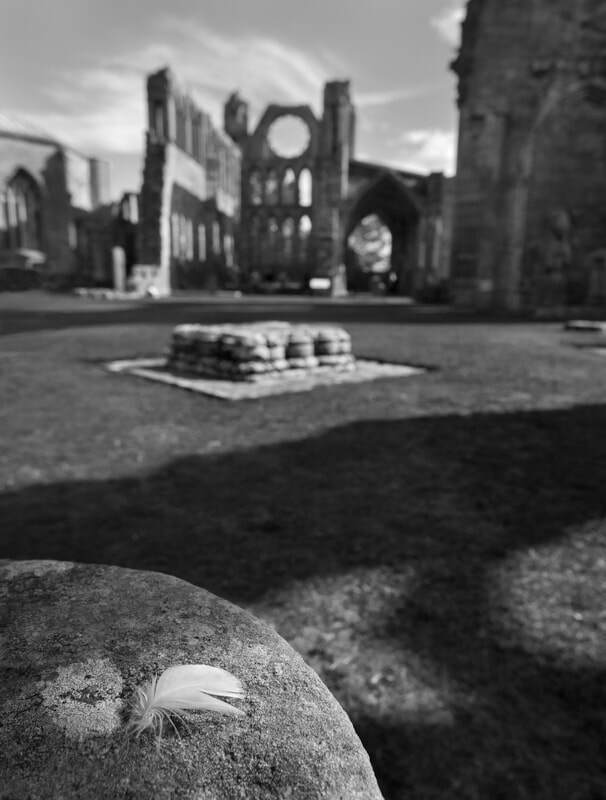 Bird feather at Elgin Cathedral, Scotland. 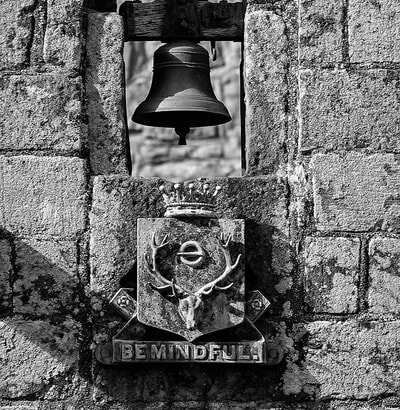 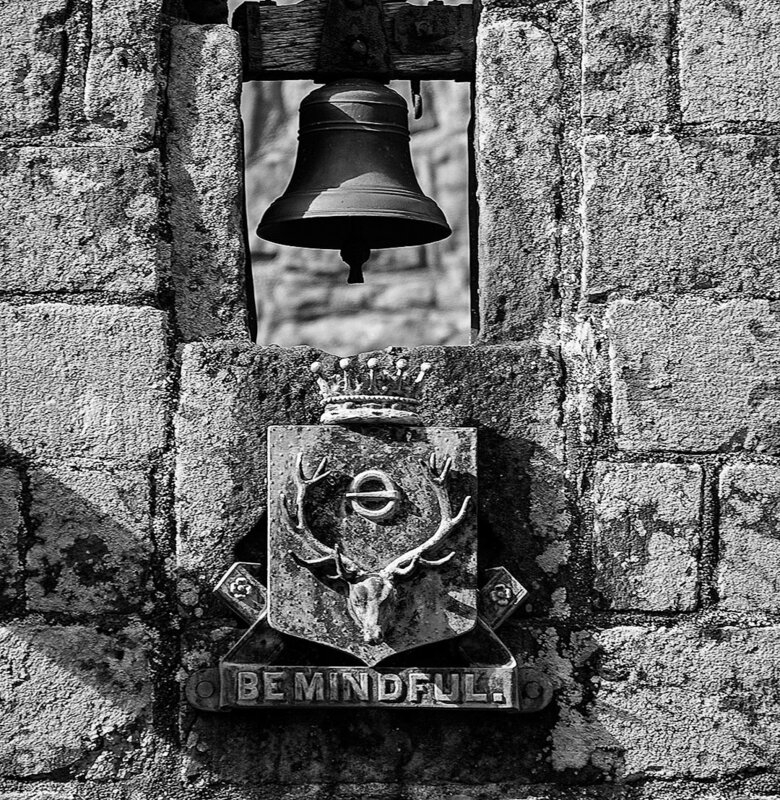 Be Mindful motto, Cawdor Castle, Scotland, 2018. 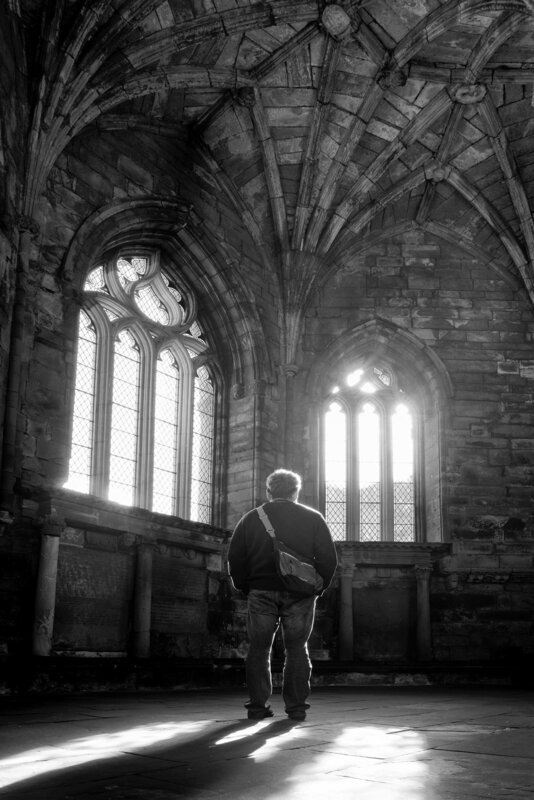 Meeting house, Elgin Cathedral. 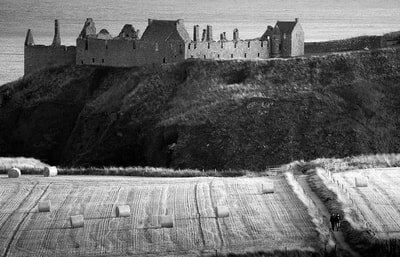 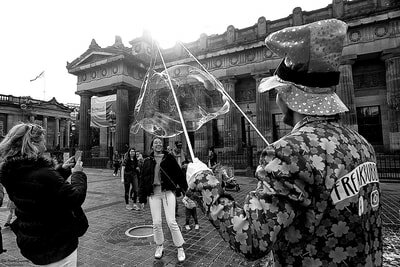 Scotland 2018. 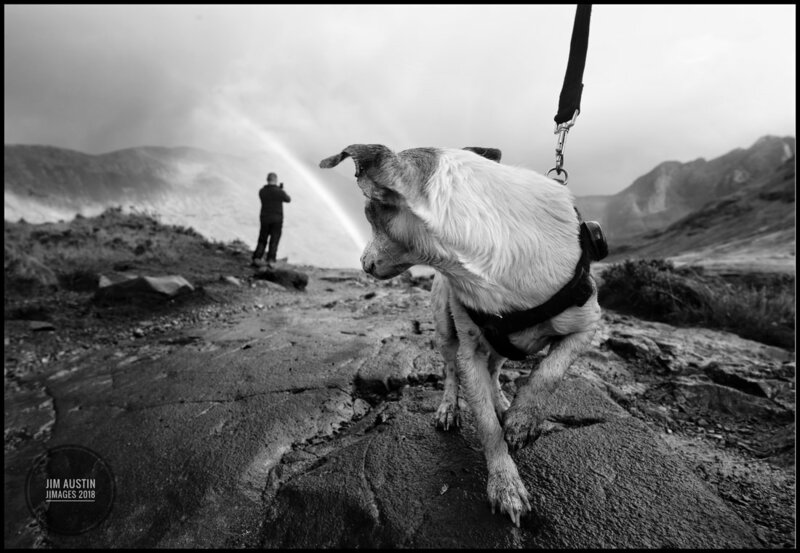 As he photographs a double rainbow, 14 year old Jack Russell Lola looks back at Ewen on the Fairy Pools trail, Isle of Skye.